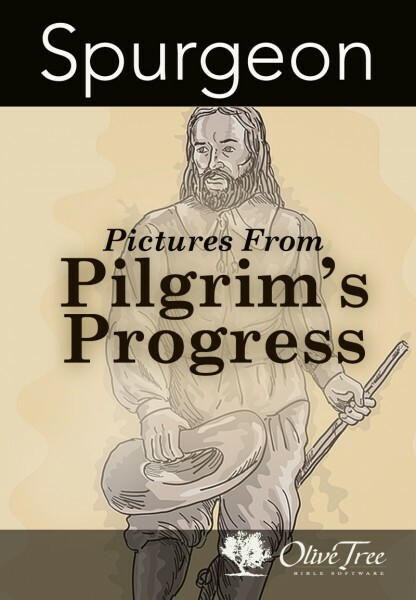 Charles Spurgeon's favorite work was Pilgrim's Progress by John Bunyan. Spurgeon claimed he had read it over 100 times, and his wife would frequently read it to him for relaxation. He often quoted Bunyan in his sermons declaring, "Though his writings are charmingly full of poetry, yet he cannot give us his Pilgrim's Progress — that sweetest of all prose poems — without continually making us feel and say, 'Why, John Bunyan is a living Bible!' Prick him anywhere — his blood is Bible, the very essence of the Bible flows from him. He cannot speak without quoting a text, for his very soul is FULL of the Word of God." Spurgeon first became enthralled with this classic as a small child, reading it in the attic of his grandfather's parsonage. The old wood-cut illustrations were especially interesting to the young lad, and later his sermons were saturated with references to the characters and events in the story. Thomas Spurgeon, one of his twin sons, wrote the preface to these articles which were first published in The Sword and the Trowel Magazine after Charles Haddon Spurgeon's death.